1. (noun) property, goods, possession, effects, object. I āhua kōrekoreko ngā kanohi o te Māori i te kitenga i ngā taonga whakamīharo a te Pākehā, mahue ana ngā taonga Māori, whiua ana ki tahaki (TTT 1/5/1923:4). 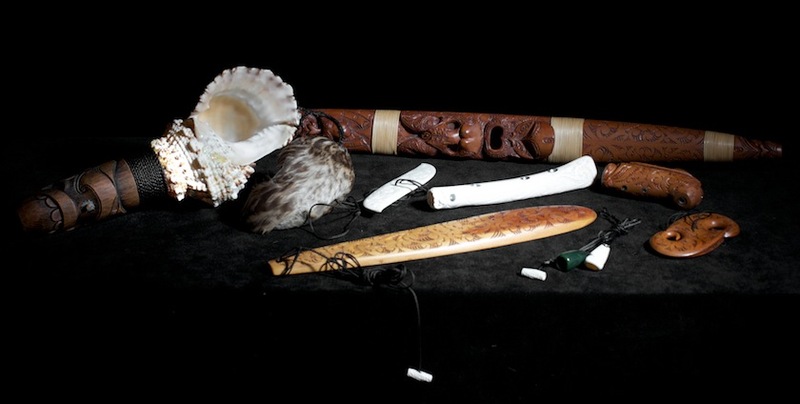 / Māori eyes were a bit dazzled when they saw the marvelous equipment of the Pākehā, Māori tools were abandoned and tossed aside. 2. (noun) treasure, anything prized - applied to anything considered to be of value including socially or culturally valuable objects, resources, phenomenon, ideas and techniques. 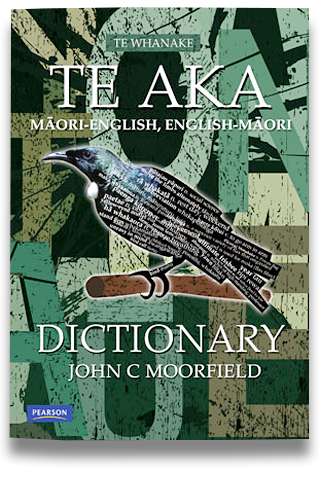 Examples of the word's use in early texts show that this broad range of meanings is not recent, while a similar range of meanings from some other Eastern Polynesian languages support this (e.g. Tuamotuan). The first example sentence below was first published in a narrative in 1854 by Sir George Grey, but was probably written in 1849 or earlier. E tū ana te haka, ko tō te tangata māori taonga nui tēnei mō te manuhiri (NM 1928:122). / Haka were performed as this was a great treasure of human beings for guests. Kei ētahi whenua he taonga nui anō te puna wai (TKP 28/6/1858:3). / In some countries a spring of water is a highly valued treasure. I ētahi wā ka whakatakotoria he mere, he patu pounamu, parāoa rānei ki runga i te tūpāpaku. Ki te pīrangi te iwi kia whakahokia mai aua taonga, ka huria ngā kakau ki te iwi. Ki te huria ngā kakau ki te tūpāpaku, ko te tohu me ngaro atu aua taonga ki tōna taha (RR 1974:21). / Sometimes a mere, or a greenstone or whalebone short weapon was laid down on the body of the deceased. If the people wanted those treasures to be returned, the handles were turned to the people, but if the handles were turned to the body that was a sign that those treasures should go with him/her. 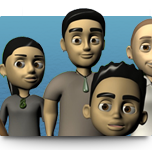 He maha ngā taonga whakatangitangi ka whakamahi rātou, pērā i te pūawanui me te pūtohe (Te Ara 2013). / They have a range of instruments that they play, including the trumpet and the saxophone. Kotahi te poupou kei te whare taonga kei St Petersburg, he tāone nui kei Rūhia (TTR 1990:390). / One carved post is in the museum in St Petersburg, a large city in Russia. 1. New Zealand Historic Places Trust. I te tau 1954 ka whakatūria te Pouhere Taonga hei tiaki i ngā wāhi nui tae atu ki ngā whare tawhito (Te Ara 2012). 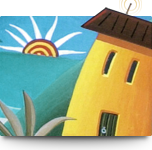 / The New Zealand Historic Places Trust was set up in 1954 to protect heritage places and buildings. 1. (noun) body adornment, jewellery. He heru, he kōkōwai, he hinu rākau, hinu kararehe rānei ngā taonga whakarākei i te makawe (Te Ara 2017). / Combs, red ochre, plant oils, or animal oils were the adornments in the hair. Ko ngā reo o ētahi o ngā taonga puoro i ahu mai i ngā tangi o ngā ngārara, o ngā manu, o ngā wai, o ngā rākau me ngā hau o te taiao (TWK 41:14). / The voices of the musical instruments come from the sounds of insects, birds, the water, trees and the winds of the environment. Hei te mutunga o te wiki whakapakatia ai ā tātou taonga uku (RTA 2014:212). / At the end of the week our pottery will be fired. 1. Ministry for Culture and Heritage. Ko nga taonga papā he whakarōpūtanga taonga puoro nō te ao whānui, ka paoa, ka whakaoioitia, ka piua rānei hei whakaputa i tōna reo (RTP 2015:72). / Percussion instruments are a western grouping of musical instruments which are struck, shaken or swung to produce their sound (RTP 2015:72). 1. (noun) woodwind musical instrument. He whakarōpūtanga taonga puoro nā te Pākehā te taonga pūhau, ka puta ōna oro i te pupuhi hau ki te tapa o tētahi puare, hei whakatōiri rānei i tētahi tohetohe. Ka tōiriiri te hau ki roto i te tinana o te taonga pūhau, mā konei e puta ai tōna reo. Ko te roa o te tinana hei whakatau i te tīkā, i te mārū rānei o te tangi. Ko ngā matimati hei poki i ngā wenewene o te taonga e piki ai, e heke ai rānei te tangi (RTP 2015:77). / Woodwind instrument is a western classification of musical instruments that produce sound by blowing air on the edge of a hole, or by blowing air causing a reed to vibrate. The air in the body of the instrument vibrates which produces the sound, and the length of the instrument determines the pitch. Covering and uncovering the finger holes of the instrument heightens or lowers the pitch. 1. (noun) wind musical instrument, brass musical instrument. He whakarōpūtanga taonga puoro nā te Pākehā te taonga pūtētere, ka puta te reo i te tāwariwari o ngā ngutu o te kaiwhakatangitangi me te pupuhi atu i te hau ki roto i te pū o te taonga, ki reira tōiriiri mai ai. 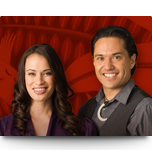 Mā te whakarerekē i te roa o te pū e piki ai, e heke ai rānei te tangi (RTP 2015:88). / A wind instrument is a western classification of musical instruments where sound is produced from the vibration of the players' lips blowing into the tube of the instrument, where the sound is resonated. By changing the length of the tube the pitch is heightened or lowered (RTP 2015:88). I ētahi taonga autangi, ko te tinana hei whakakaha i te oro, hei whakaū i tōna hā. Ka kīia ēnei he taonga orooro. Ko te ukurere hei tauira (RTP 2015:48). / With some string instruments, the is to strengthen the sound, and to reinforce the tone. These are called acoustic instruments. The ukulele is an example. 1. (noun) ornaments of Wharawhara. Ngā taonga o Wharawhara: Mō te toroa tēnei whakataukī. Ko te pare tērā; ko te pōhoi taringa nō te huruhuru maheni o te kēkē o te toroa (M 2004:6). / The ornaments of Wharawhara: This saying refers to the albatross feather. That was a head ornament. The feather ornament for the ear is of fine feathers from under the wing of the albatross. Ko ngā whare pūkainga taonga e 59 (TJ 15/3/1898:5). / There were 59 warehouses. 1. (loan) (noun) crane, hoist (machine). Ko te taumaha o taua pāera e rua tana, mahia ana taua mea, ā, ka tārewa te hāpai e te mīhini hapahapai taonga o te tima (TPH 2/8/1898:4). / The weight of that boiler was two tons and when it came to handling that equipment it was raised up by the ship's crane. 1. (noun) heirloom, something handed down, cultural property, heritage. I ōna taringa mau haere tonu ai a Te Kani i ngā tautau me ana mōtoi pounamu, he taonga tuku iho ki a ia nā Rāpata Wahawaha rāua ko Te Pairi Tūterangi, te tohunga nei o Tūhoe, te kaiwhakaako hoki i a Te Kani (TTR 1998:206). 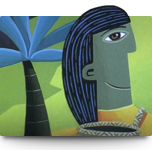 / He always wore greenstone ear pendants inherited from Rāpata Wahawaha and Te Pairi Tūterangi, the Tūhoe tohunga, and Te Kani's instructor. E rua tekau ngā toi moko Māori e hoki mai ana i Parī ki te wā kāinga nei. Neke atu i te rua rau tau aua tūpuna e takoto ana i roto i ngā whare pupuri taonga o Wīwī (Te Karere 12/1/2012). / Twenty tattooed preserved Māori heads are returning home from Paris. Those ancestors have been in the museums of France for more than two hundred years. 1. New Zealand Film Commission. 1. New Zealand Film Archive. 1. 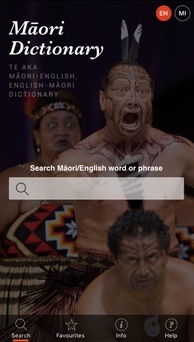 (personal name) Ngāti Ruanui, Tāngahoe; Orator, educator and activist for Māori language revival and indigenous rights. Following a career as a building tradesman, moved into trade training and became prominent in adult education in Māori language revitalisation. Having developed language instruction programmes turned his attention to broadcasting recognising its value in promoting Māori language use. 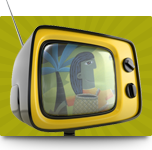 Led the case through to the Privy Council that the NZ Government should recognise and protect Māori language as a 'taonga under the principle of the Treaty of Waitangi' in the allocation of New Zealand's broadcasting assets. Following this successful challenge Huirangi returned to Taranaki where he has become the single most dominant figure in guiding the regeneration of Taranaki's distinct regional dialect. 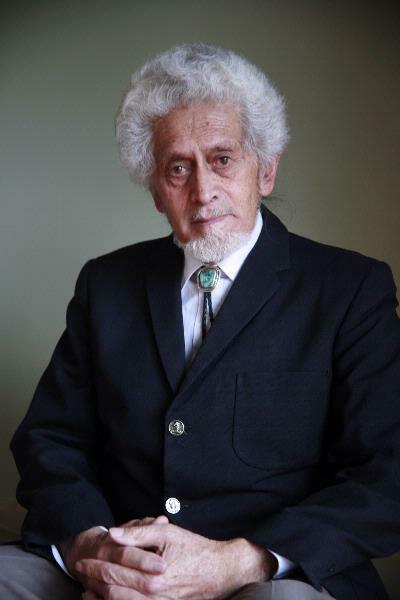 Received an Honorary Doctorate from The University of Waikato in 1995 for his achievement in both tertiary education and Māori language communities.